The Daylight Thief – Out now! – Click Here to purchase. Read the LeftLion review of The Daylight Thief here. To Review The Daylight Thief: . As the second half of the 19th Century dawns, Jack Follows, a Nottingham-born son of a shoemaker, yearns to drag himself out of the torpor of his lower-class life. A sensuous encounter with irresistible aristocrat Freda Deverick and the chance discovery of his artistic talent seem to present him with a life line out. But as his infatuation descends into obsession, Jack sets off on an ill-fated twenty-year quest through Victorian England over which all his achievements will slowly begin to unravel. A century later Simon Smith’s life has hit rock bottom. By chance he discovers Jack’s meticulously kept journal. As parallels between their lives emerge he is compelled to embark on his own quest in search of Jack, Freda and a personal redemption that could only be written by the past. 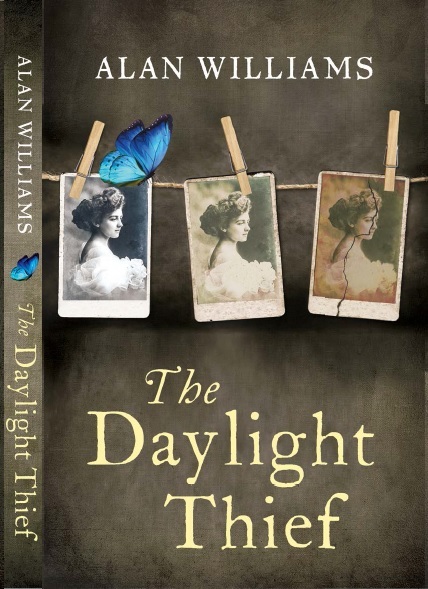 Inspired by actual events,The Daylight Thief is the debut novel from author Alan Williams, which lays bare the thin line between hope and obsession. Absorbing, tender and wry, it is a tumultuous journey through time and the human condition that proves that our dreams are never out of reach. Read about ‘The Nineteenth Century World of The Daylight Thief’ on my Goodreads blog. The Old Lady by the River. “7-3 to the Russians”: Exploring Poland’s wartime legacy. Hidden in plain sight: The revelation of St. Nics. The 19th Century World of The Daylight Thief. "If only half of the history that has happened in Nottingham had happened in some other place, that place would be famous; but because it did happen here no one knows".